Global climate change isn’t just affecting humans. The adorable and fuzzy giant panda is also suffering from increased worldwide temperatures in more ways than one. Recently, the International Union for Conservation of Nature (IUCN) down graded the panda from being endangered to now being vulnerable. Even though this is great news for pandas everywhere, these warm temperatures are causing the bamboo plant — which is a panda’s primary food source — to wilt. Not to mention that in China, where the majority of pandas live in the wild, these animals have had to flee to higher ground as a way to accommodate growing populations and the need for more farmland. Luckily, the pandas could still find bamboo in the high hills of China because the plant grows fast. The root system of Moso Bamboo sends up new bamboo shoots every year, and it only takes 5-6 years of these shoots to develop into culms which are then commercially useful. Great thing is, since bamboo is always growing, only 16-20% of the total crop is harvested, leaving at least 80% of the plant for pandas to feast on. While this panda relocation doesn’t sound like a big deal for some, the more the Earth warms, the higher the chances are that the panda’s higher-altitude refuge will get used up for even more farmland. So where will the pandas go then? In an action to protect these revered animals, China is planning to create a massive, sprawling reserve where the pandas can be free to eat all the bamboo they please without fear of being moved. The pandas will be moved to the Chinese provinces of Gansu, Shaanxi, and Sichuan, and a full 17,000 people will be relocated to make room for the 10,476 square mile preserve. For comparison, hat is three times the size of Yellowstone National Park. The preserve will be full of bamboo sprouts and trees alike, and it is important to point out that these trees will be doing a little bit more than just providing food and shade for hungry pandas. A single urban tree may be small but it sure is mighty — one tree can provide up to $273 a year in air conditioning expenses, pollution-fighting benefits, erosion and storm water control, along with wildlife shelter benefits. Plus, trees have the ability to reduce temperatures in the nature preserve by nine degrees Fahrenheit. 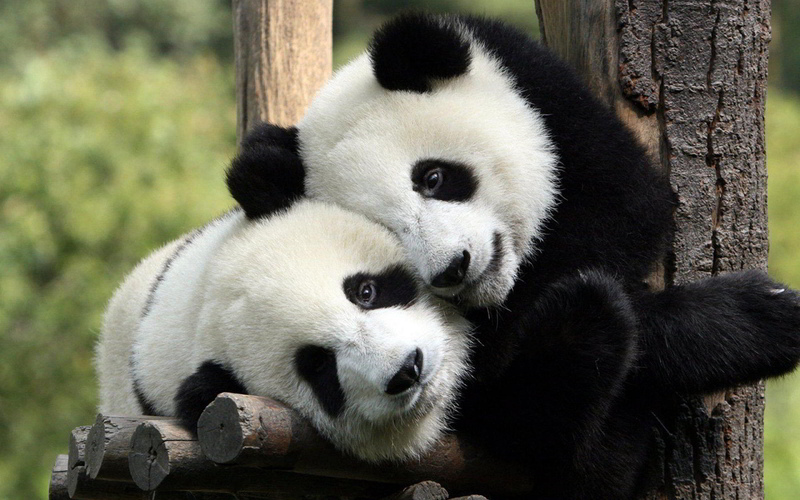 The panda preserve will be created within the next few years with the goal of bringing the panda population from around 1,800 in 2016 to over 2,000 come 2025. So go roam freely pandas, and don’t forget your bamboo.